Why Do Sloths Really Poop on the Ground? Sloths are famous for their unusual and bizarre bathroom habits. Both two-fingered (Choloepus) and three-fingered (Bradypus) sloths will only defecate once a week, and for some strange reason they will only do it on the ground. For a sloth, this is a big deal. A sloths entire lifestyle is based around avoiding detection and using as little energy as possible. It takes a sloth an entire month to digest just one leaf, meaning that they don’t have much wiggle room when it comes to expending energy. Descending from the safety of the canopy to the forest floor is not only energetically very costly, it is also a suicide mission. Sloths are extremely vulnerable to predation when on the ground. As if that isn’t enough, these animals can store up to a third of their body weight in faeces; lugging that extra weight around is no easy task when you are a sloth. So why bother? There must be a huge selective advantage to this weird weekly routine – it should be obvious. Yet this remains one of the biggest mysteries surrounding sloth behaviour and one that scientists have struggled to explain for decades. A blog post by Ed Yong offers up an interesting theory. A team of scientists from the University of Wisconsin suggest that this behaviour all revolves around the humble sloth moth. Sloth moths are a group of moths that are found exclusively in sloth hair. When a sloth descends to the forest floor to defecate, the female moths crawl off the sloth and into the faeces to lay their eggs. Here, the larvae feed and develop into adult moths before flying up into the canopy to find a sloth. Pauli et al suggest that the sloths benefit from having the moths, and so risk life and limb to maintain the relationship. They believe that the presence of moths facilitates the growth of algae in the hair, from which the sloth gains nutrients. It is certainly an interesting idea and one that crossed my mind when I first began working with sloths four years ago. Unfortunately, it doesn’t add up. It is true that the sloths with the most algae tend to have more moths. But it is very unlikely that the sloths gain any benefit from the moths. The algae is a form of camouflage, but certainly isn’t essential to the sloths survival. For a start, sloths in captivity that are fed a natural diet but don’t have any algae are perfectly healthy. Blood analysis done at the Sloth Sanctuary of Costa Rica shows no difference between these captive animals and their wild, algae covered counterparts. Furthermore, a sloth has never been observed or documented licking the hair. I have spent countless days following sloths in the wild and observing every little movement (yes, movements are few and far between…) yet I have never seen anything that looks remotely like licking. Maybe the nutrients are absorbed through the skin? Perhaps. But if a sloth can survive without the algae, why risk everything to try and get it? Could the moths benefit the sloth in other ways? It’s doubtful. Sloth moths don’t have mandibles in the adult form and so it is unlikely that they feed on the algae, dead skin or parasites. The moths essentially just use sloths as a handy form of transport. 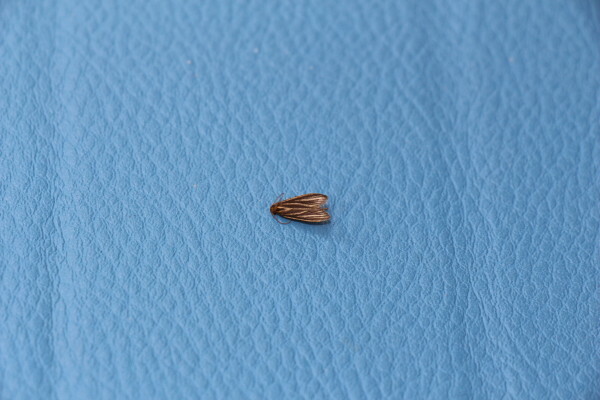 The moths need to find sloth poo in order to reproduce. 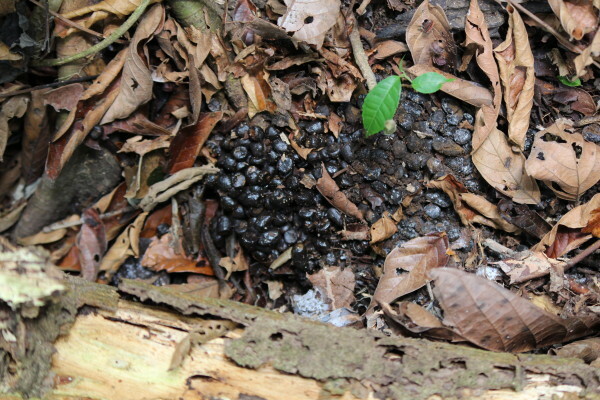 The best way to find a fresh pile of sloth poo? Find a sloth and it will take you there! The moths have simply taken advantage of the sloths bizarre bathroom habits and found themselves a nice niche. Pauli’s theory also leaves a few important questions unanswered. If the sloths were simply providing the moths with a place to reproduce, why would they need to return to the base of the same few trees? Wild sloths always poop in the same places. In fact, multiple poo piles can be found at the bases of certain trees. 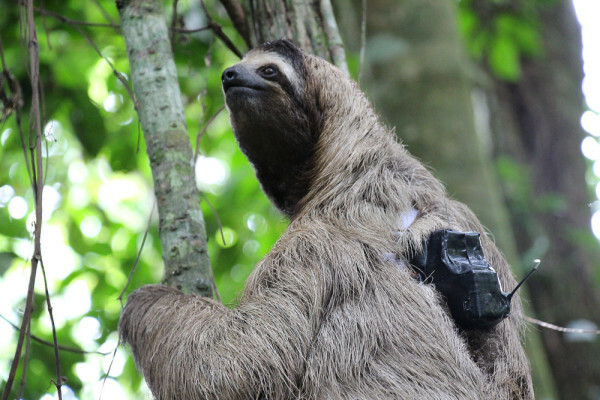 I have camera traps set on some of these places and we frequently see the sloths coming and going (admittedly, the sloths slowness occasionally struggles to trigger the camera traps!) Why wouldn’t the sloth just climb down any old tree? Why travel to these specific spots?